Is your Chicago office in need of a serious deep clean, or a regular office cleaning to ensure that it always looks its best? Is that messy office making a bad impression on staff and clients who drop in for meetings? Office cleaning services in Chicago booked through Handy make office cleaning look like a walk in the park, and that’s exactly what you’ll be free to do when you hire an office cleaning professional! Handy has been connecting companies across a range of industries with the best office cleaning services in Chicago for years, connecting time-strapped business owners like you to expert office cleaning services. We pride ourselves on our simple, easy-to-use platform. It’s your direct link to the best office cleaning professionals in Chicago. You can make your booking online through our website, or download the Handy app to book directly from your smartphone. Payments are handled electronically, so there’s no need to hunt around for cash when your office cleaner finishes up. And all bookings come with the Handy Happiness Guarantee -- that means if you’re not happy, we’ll work hard to make things right. 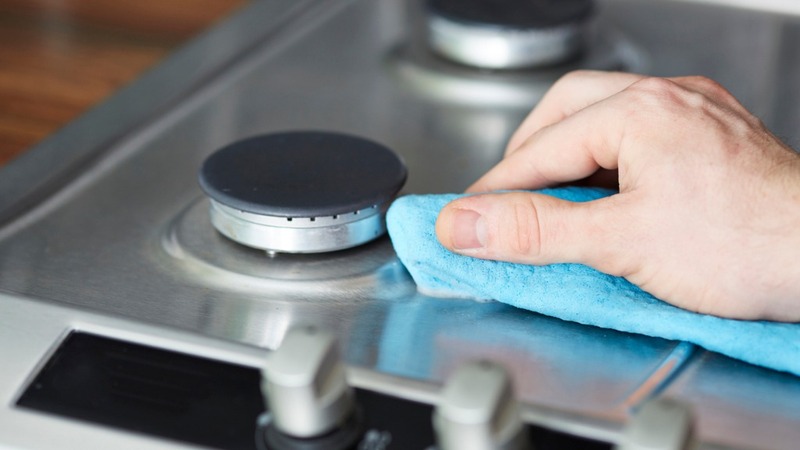 Whether you need help with everyday office cleaning jobs like emptying the garbage, vacuuming, and dusting, or would like to organize a one-off clean for things like cleaning the office fridge and oven or tackling the staff restrooms, you can trust office cleaning services in Chicago booked through Handy. If the idea of lunch in the sunshine at Millennium Park appeals to you, you can soon make that a reality! You can arrange for your cleaning expert to come as soon as tomorrow. Just open the Handy app or head to our website to see which office cleaning pros are available, check out their ratings and read their customer reviews. If your plans change and you need to cancel, just give us at least 24 hours’ notice and we’ll reschedule for you with no fuss. With a cheap office cleaning service you can rely on, your pros will bring all the office cleaning supplies needed to get the job done perfectly, so you don’t have to provide anything. The best office cleaning services in Chicago are at your fingertips, so you can enjoy arriving to a clean, tidy office every day. Life shouldn’t be all work and no play, so rather than spending your work downtime organizing office cleaning services in Chicago, why not get out of the office and enjoy your break in the sunshine? Take a stroll along Navy Pier, entertain clients over lunch on the Magnificent Mile, or check out an exhibition at the Museum of Science and Industry. Or you could always use the extra time to catch up on that mountain of paperwork! With affordable cleaning services in Chicago, you can enjoy a cleaner, tidier, and more organized office. You’ll wonder how you ever managed before your office cleaning experts came along to put things right!